So it's tuesday, and around here it's garbage day. I love when the truck comes and picks everything up. It feels like a fresh start and I like to know that I could fill that can again if I need to but I never do. As I sit here I just wrote the most giant blog post, that I've literally probably written 6 times, explaining why I stopped blogging and disappeared. Vulnerability and truth are difficult things. It's a tender tightrope we walk when we try to decide what to share. I guess it's not going to be something I share today. I am happy to share my bedroom makeover. It's been a tremendous source of inspiration. 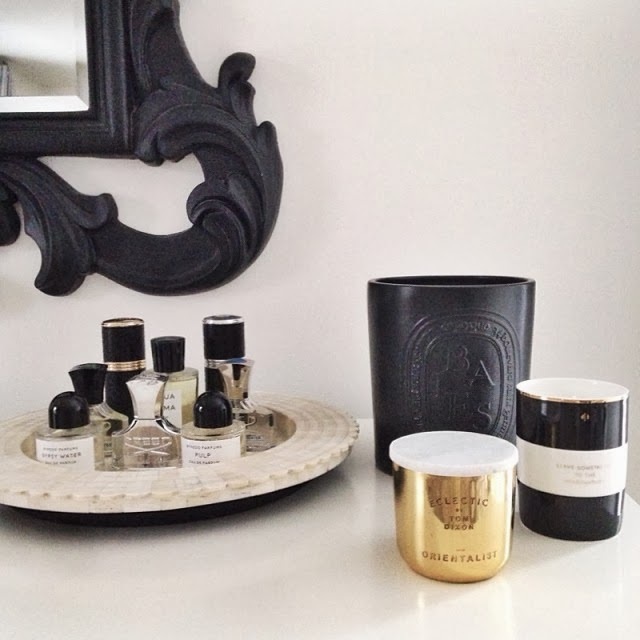 I always tell clients that their bedroom truly needs to be a refuge and a restorative place. It's so important when you give so much in life to have a place to go to refuel. I liked my room before but always crave change. I swapped out a pale grey/blue+ cream palette for one that is cream and black with touches of metal, leopard, flame stitch and other yummy things. The swap was inspired by the Moroccan Shag rug I ordered from Rugs USA. I think by now it's almost a blogger prerequisite to own it. I waited until black friday and got 75% off but they're almost always on a 50% off special if you can't wait 9 months. Beautiful design, Erica. Love the black and white contrast! So lovely. Well done Erica. Hot damn pretty.....black and white is what I live for. I agree, the master bedroom should be done first. I'm telling myself that because right now it's not even on the list. Thanks for the inspiration and encouragement. I love your love for your boys, it shows in every picture you share. I hope you decide to stay! Everything you post is so gorgeous and inspirational. So pretty. And I am all over black and white! Oh I hear ya on the fine line of what to share and what not to...just go with your gut and you won't regret it. Love the new look of your master bedroom. 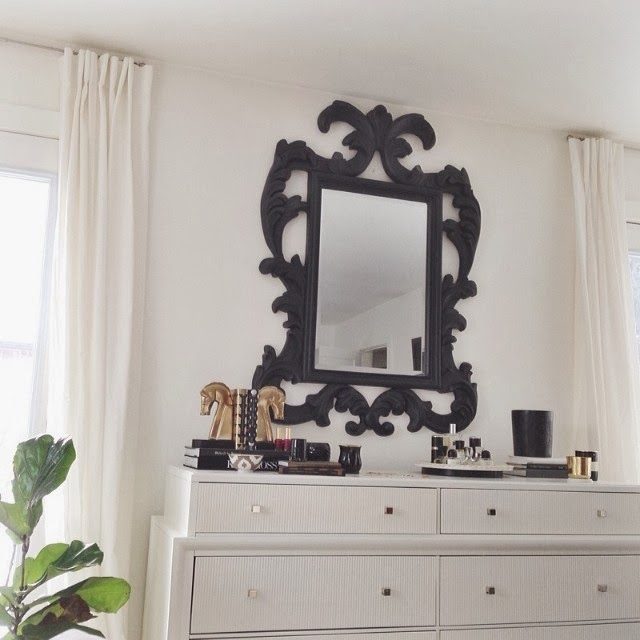 I have been waffling on what color to paint a thrifted mirror similar to yours, and now that I have seen yours I am going with a flat color, maybe black I can't decide, but I love how your's looks! Thanks for the inspiration. 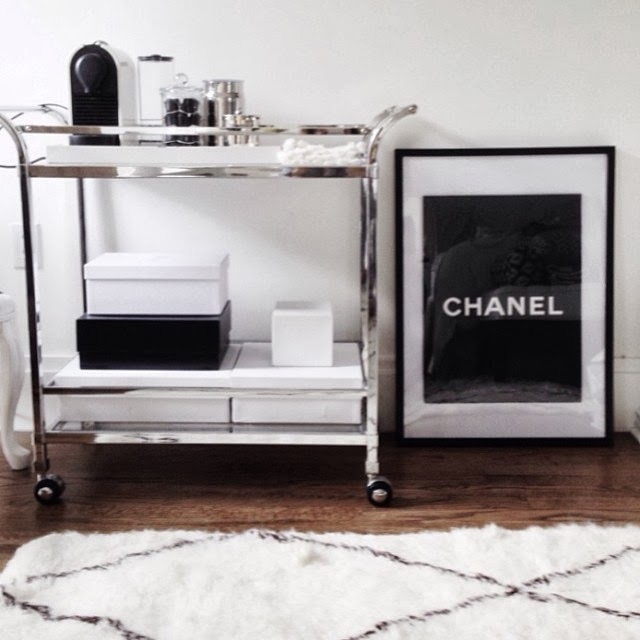 Can you tell me where you bought the chrome bar cart from? 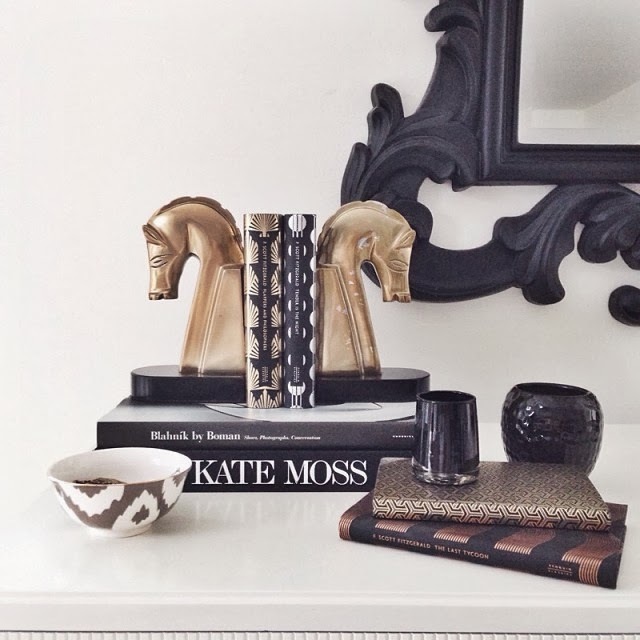 Where is the chrome bar cart from?